If you were just starting out in genealogy, where would you go for online help? I think most experienced genealogists would probably encourage a newcomer to take a class or visit a Family History Center. But what if those options are either not convenient or even available? Is there really someplace to go online to get that basic, easy to understand explanation of genealogy? The answer is a resounding yes. Here are some of the best sites I am aware of that will help the absolute beginner. Obviously, there may be more, but these are the places I would send a beginner if I had the chance to do so. 1. My number one choice for an introduction to genealogy is a series of 5 Minute Videos from FamilySearch.org. From the FamilySearch.org startup page, you click on the "Learn" link at the top of the page and then select "Research Courses." Be careful. There are almost 400 courses available. The first think you want to do is select the "Beginner" level in the column of choices on the left side of the list. The 5 Minute Series of classes comes up in a list. My only complaint is that it is a little bit of a task to find the first one in the series. I suggest searching for Episode 1. Just to get you started here is the link to Episode 1. You can continue on watching these lessons for a very long time and learn an amazing amount of information about genealogy. This is not a complete list, but these pages will get you to others with additional help. American Genealogy Studies - Online Courses from the National Genealogical Society. Free to members of the Society. There are probably more resources but this is probably enough to get you started. Google is a deceptively simple program or group of programs with a wide range of applications that can be invaluable for use in genealogical research. I will be writing about the topic over the next few weeks on the TechTips website, so you can go there for additional detailed information. But here I would like to make some comments about Google and other websites. Current website design falls into to extremes; a minimalist approach such as that taken by Google.com and a "cram-it-all-into-one-page" type design such as Adobe.com. The minimalist approach is more architectural, trying to build a structure from the minimal number of elements. For examples, go to WebDesignLedger.com's 20 Inspiring Minimalist Web Designs. For my part, I would not consider some of their examples as minimalist, but it is really a matter of personal opinion. Obviously, my blog tends more towards the "cram-it-all-into-one-page" design but I think to some extent, the content of the webpage determines the design. Minimalism is associated with various different art and design movements where the work is set out to expose the essence, essentials or identity of a subject through eliminating all non-essential forms, features or concepts. See Wikipedia:Minimalism. If you are familiar with art history, you will at once recognize that minimalism has been influenced by traditional Japanese art and architecture. In architecture, the movement is best represented by Ludwig Mies van der Rohe. Genealogy in its eclecticism and emphasis on documentation seems to be stylistically at the opposite pole of the design world from minimalism. The epitome of the "cram-it-all-into-one-page" type approach in genealogy is the Cyndi's List genealogy site. Mind you, I am not making a judgment about which approach is "better" or "worse" in an evaluative sense, I am merely commenting on the two opposite poles. If you want to delve into Genealogy (with a capital "G") Cyndi's List has over 300,000 links. Interestingly, as an aside, my own blog is not linked from Cyndi's List. Perhaps I am not considered a genealogical resource? I do happen to have a personal opinion about minimalist websites (Oh! What a surprise!). They can be utterly frustrating for finding content. Google falls well into this category. Unless you just happen to know where something is found, you will have a beast of a time finding it. Even if you have seen a wonderful Google site once, you may never be able to find it again. Google is sort-of like Brigadoon, it only appears when it wants to and is gone the rest of the time. Here is what I mean. Where would you go to do a search of all of the German (or French, or Spanish, or whatever language) websites concerning genealogy by using English and have your search of German websites in German and all the results instantly translated into English? Did you even know you could do that with Google? (If you did, please pat yourself on the back for me). Apparently, minimalists who design websites, don't count the number of clicks you have to go through to do something. Because unless you happen to know where this amazingly helpful program resides, it is going to take you a while to find it. OK, give up? Here is where it is. Do a regular, ordinary Google search on anything. Try the word "genealogy" for example. Then when the search results come up, ignore them all, and look over on the left-hand side of the page at the bottom of the list for the link "More search tools." When you click on this link, you will immediately get another list of links that include "Translate foreign pages." Clicking on this link immediately translates your search terms into various languages and does a search in the foreign language sites, but translates all of them immediately into English. Interesting? Yes. Easy to find or even know about? No. Would it have been nice if someone at Google had figured out to tell you that you could do this? Yes. Here is the conclusion. Minimalism is great for architecture (whether you like it or not) but it is a pain for the Internet. If you are going to have a website, don't get all caught up in trying to be artsy, just get the information across as fast and as completely as possible. If you like art, try my other website, Walking Arizona. It was interesting today when I went to help at the Mesa Family History Center. The first person I helped commented on having read my TechTips articles on Apple Macintosh computers. I do believe that this is the first time any patron at the Center has ever commented about FamilySearch TechTips. I do get comments from the other volunteers, but they have been told about TechTips along with all the other FamilySearch resources. I have been writing about two blog posts a week for TechTips for some time now and presently have a total of 157 posts. These articles are of more than casual use and if they become outdated, I am posting updates where appropriate. I think TechTips in total is a very valuable genealogical resource and not just because I write some of the articles. If you find an area that is not fully covered or could use some information, please make a comment on this or any of the TechTips posts. I really appreciate suggested topics. The Ancestry Insider had a very interesting comparison of the images for the 1940 U.S. Census, comparing Ancestry.com, Archives.gov, FamilySearch.org and MyHeritage.com. 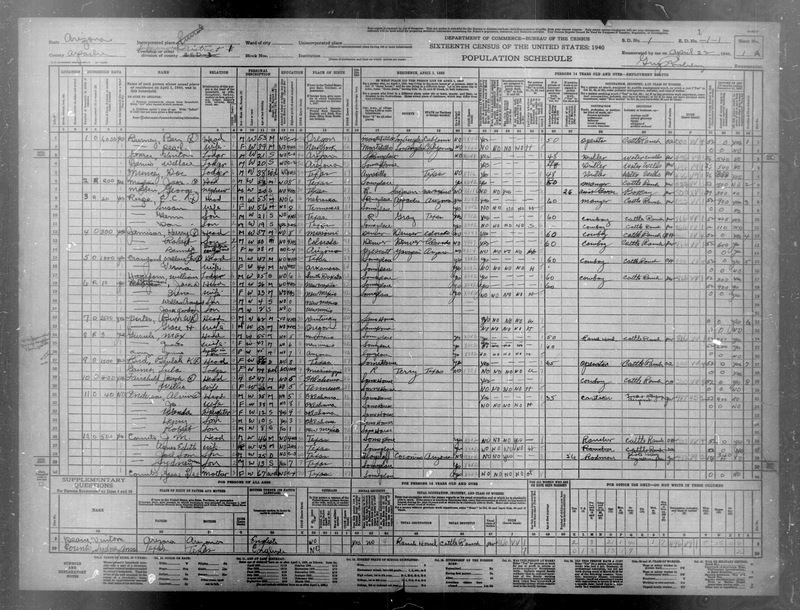 There are other images of U.S. Census out there, all of which were scanned from microfilm copies from the U.S. National Archives. I thought that there was some additional information about the Census images and digital images in general that might be interesting and helpful to those viewing the images, including the images from previous censuses. The comment made by The Ancestry Insider which he retracts is “NARA did the image scanning so Ancestry.com’s images can’t be better than everybody else’s.” The real issue is the quality of the original census forms and the handwriting of the enumerators. Literally, an absolutely faithful reproduction is useless if the original forms are unreadable. The reality is that many of the original forms are bad or even missing. For example, the 1890 U.S. Census was destroyed in a fire except for certain preserved schedules. Microfilm copies of the original population schedules, from 1790 through 1930 (virtually all of the 1890 records were destroyed as a result of a 1921 fire), are available at the National Archives in Washington (www.archives.gov) and its 13 regional archives (see page 4), and many libraries in various parts of the United States. Most have facilities for making paper copies from the microfilm. The National Archives also rents and sells the microfilm rolls (see below). The Reference Branch at National Archives headquarters (see listing on page 4) will accept photocopy orders by mail or through orders online, given exact page numbers; it will not do research. The 1940 U.S. Census was the first time that the images were digitized rather than being made available on microfilm. Microfilm is really just 35mm or 16mm film in rolls like movie film. Microfilm is still available and still being used for archive purposes. See Eastman Park Micrographics, Inc. The quality of a microfilm image is dependent on the same factors important for any photograph, the quality of the camera, the quality of the lenses, the lighting and the focus. In order to determine the quality of an image made on microfilm, it is absolutely necessary to compare it to the original document, not an original image of the document. These same factors influence the resolution and quality of digitized images also. With digitized images, there is an entirely new layer of viewing issues; the device by which the images are viewed. In other words, what you see on the screen is partially dependent on the resolution of your monitor, not so much the ultimate resolution of the image itself. If your monitor is low resolution, the image will degrade to the level that it is viewed at. Some images will look better on a high resolution monitor and will look very much less acceptable when viewed on a lower resolution monitor. The only accurate way to compare two digital images is to look at them with the same type of monitor set at the same resolution and the same magnification. Even if you compare the images using the same parameters, you mostly end up comparing the two viewing devices rather than the images themselves. Microfilm images of the various years of the U.S. Census are notoriously spotty in their quality, sometimes this is due to the quality of the original document, but more frequently it is the quality of the individual microfilm images. As the Ancestry Insider pointed out, the "original" digitized images from the National Archives are blurry at magnification. There are some graphics tools such as those in Adobe Photoshop, that can be used to sharpen or clarify an image, but basically, there is a upper limitation imposed by the resolution of the original scanned image. Notice that there is no blurring of the image unless you enlarge it on your screen. For example, look at the image above here in the post. Then click on the image to enlarge it. The enlarged image shows blurring or pixelation while the smaller version of the same image does not. The point of this is simple, the results are very complex. The so-called "quality" of a digitized image depends on a number of factors, one of which is the degree to which the image is magnified artificially by the zoom-in function of many programs. Some images online are actually made up of a series of images at different resolutions to allow you zoom-in without an apparent loss of quality. So what does all this mean for the U.S. Census images? You can get better visual image quality by using a higher resolution monitor. You can get "blurring" from a bad photograph or poor digital image. You can get higher contrast by using programming techniques and tools available in image processing programs like Photoshop. Any image, at any resolution, will show pixelation by zooming in 400%. If you are dissatisfied with the quality of any image in any program, find the image in another online program and see if the quality is better. 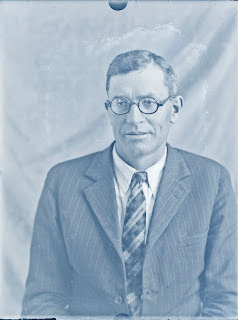 If you like, you can download the image from the National Archives site and manipulate the image yourself with Photoshop or a similar program. Good Luck. So far, 18.9 percent of the entire project has been completely indexed. We have 83,795 indexers and arbitrators working to index and arbitrate the census records. Five new states have been indexed and are being processed in preparation for posting on FamilySearch.org. They include: Colorado, Delaware, Kansas, New Hampshire, Oregon, and Utah. The Delaware index has been posted on FamilySearch.org and is available for searching. An additional eight states are 90 percent or more indexed. They include Alaska (98 percent), Arizona (95 percent), Florida (93 percent), Idaho (99 percent), Nevada (99 percent), Vermont (92 percent), Virginia (99 percent), and Wyoming (98 percent). To see the status of each state, visit the FamilySearch.org/1940census page. A total of more than 26 million records for the project have been indexed and arbitrated to date. After the indexers are done indexing a state’s census records, the indexing records still need to be arbitrated. Each census record is indexed by two different people and a comparison is made of the information. If a record is indexed exactly the same by both indexers, the record is ready for the final steps of processing. However, if the two indexers indexed a piece of information differently, then a person called an arbitrator looks at the record and decides which information is correct. This arbitration process ensures that the end product (the index) is as accurate as possible. If you have been involved in Indexing and have the number of edits necessary, please consider being an arbitrator. As a family history consultant, you should be aware of the new Family Tree on FamilySearch.org that we will be releasing to the public in the next few months. 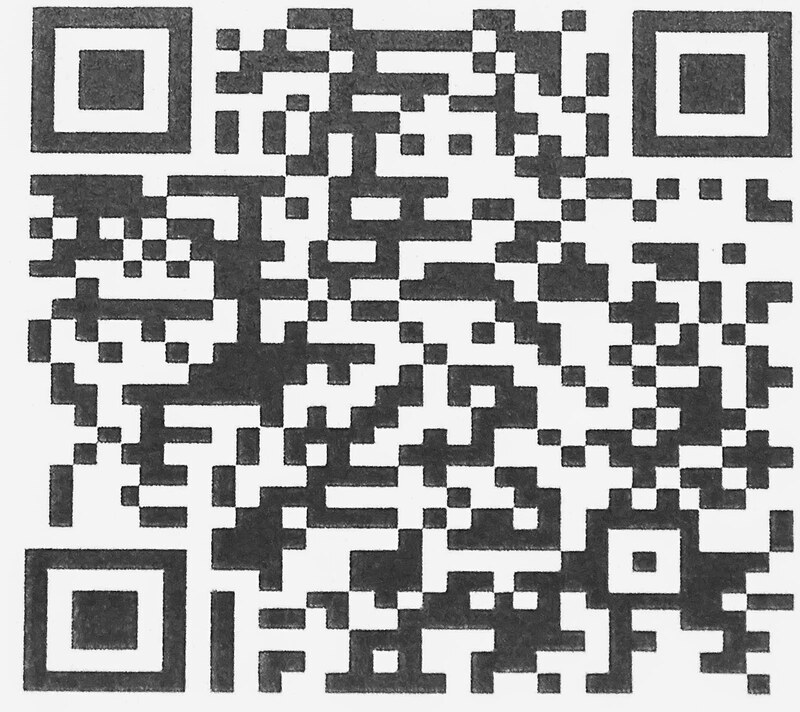 At this time we would like to invite you to use it before it releases to the general public. We need your participation to help us make it better. Once the features and functions are in place, the Family Tree will replace new.familysearch.org and will be freely and publicly available to all people around the world. It appears that the change over to Family Tree from New FamilySearch will be done in the "next few months." The announcement includes instructions about how to activate an account. Your course in research wiki states that if I click on "Learn" I will be able to type in my location or subject. All's I am getting is the message 'getting started' and I have done all your courses. I am discouraged at this point. I am not able to find my great grandfather in any of your records. Not as easy as you make it sound. My heart goes out this person. Yes, unfortunately, it is not as easy as we can make it sound. I wish I could sit down with this person and help them find their great grandfather. I am not sure what the reference is to "your records." But, although this is an extreme example, it is not uncommon for people to somehow have the idea that we have a file with all their relatives and all they have to do is look at that file to get the information. There is part of the common misconception that genealogy is nothing more than looking at a list. This is the kind of request that can only be really addressed through a one-on-one question and answer period. My recommendation to this person would have been to seek out someone to help him (or her) find what he (or she) is looking for. Don't build bridges in the air. Start from what you know and look for information about known ancestors before you begin to look for information about a remote ancestor. In other words, this person needs to be looking for records about his grandfather, not his great-grandfather. Too many new researchers dive right in and start looking for a remote ancestor without ever taking the time or making the effort to "get to know" all of the ancestors in between. My most common suggestion is to step back a generation or more and find out about the family before you start trying to identify the next generation back. Failing to find your ancestor on the FamilySearch.org website or any other website merely means that either you are looking for the wrong person or have some wrong information or the person is not on any of the records on that particular website. No one website has anything close to all of the records that can exist for an individual. Although this particular person is asking about a great grandparent, it is not unusual for me to have younger patrons whose grandparents are still living or were alive within the last 50 years. Information about such individuals may still be subject to basic privacy laws and not yet on the Internet in other than special websites dedicated to lawyers, banks and other such businesses. On the other hand, there may be records about your ancestor in some specific location that have not made their way to the Internet as yet. Genealogy is not a pursuit for those who want instant gratification. Sometimes a search for an ancestor will take months or even years before the crucial records are found. Don't give up. There are whole lists of ways to get help, mainly from other genealogists. There are online forums such as Forums.FamilySearch.org and others. There are Family History Centers. There are genealogical societies. There are genealogy clubs. Ask around, it is very likely that someone in your community will help you and usually, for free. Remember, you can always hire a professional to help you with your research. What I would say to this person, I would say to all: There is help. There are resources. You are not alone and there is no reason to be discouraged. I spent about three months in the Mesa City Cemetery (better than spending eternity, I guess) on a scanning project and I had ample opportunity to observe the operation of the cemetery and the interaction with its potential and actual customers (I don't know if that is the right word). Cemeteries here in the American Southwest are understated to say the least compared to some of the more monumental cemeteries more to the east. For example, the Mesa City Cemetery has an older section with traditional gravemarkers, but all the new burials must have ground level flush markers. I suppose this is to make maintenance easier, but then they allow flowers so almost every grave would have to be maintained individually anyway. For one thing, it makes finding a particular grave very much harder since they all look exactly the same. One thing they can do with ground level flush gravemarkers is put the graves a lot closer together. They now stack the burials on top of each other also, up to three deep. This is another municipal mystery. Land is plentiful and there are huge, I mean huge, vacant tracts of land in Mesa owned by the City. So why do they have to "save" space by burying people three deep? While I was there at the City Cemetery, they dug up one burial to put in another. Maybe the first burial didn't pay for a permanent site? I never did hear the details on that one. Maybe they are only renting space? It is hard to say whether a cemetery is a profit source for a city. From my perspective, I think they could be. Especially, the miserable rocky desert plots in northern and eastern Arizona. If your idea of a cemetery is grass, flowers and trees, you need to visit one of our gems. We have rocks, weeds and wind. It seems that people put off purchasing a cemetery plot until they need one. Well, what I mean by that is the relatives are usually in buying a plot after someone has already died. My perception is that almost the only other time people come in is when they look like they are passing away or close to it. From the records in the cemetery, most burials are arranged by the mortuaries, at least in Arizona. There is a charge for a cemetery plot, of course. But also charges for opening the grave and for the stuff they need at the grave site for a memorial service or burial. The cost of the funeral usually also includes the cost of the service at the grave if they are separate. In Arizona, and I would guess elsewhere, they wait until the ground "settles" before putting up a gravemarker. In Arizona this means waiting until they put gravel over the grave or until the ground has become as hard as cement. We have a ground cover here called Bermuda grass. It is really a low growing weed but it passes for grass part of the year. In the winter when the nighttime temperatures drop below 61 degrees, Bermuda grass goes dormant and looks dead. You might think that this would be appropriate for cemeteries, but one cemetery here paints the dead grass green. I am not kidding. Most people think of death certificates when they are looking for death records. But death certificates, if you can find one, are only the tip of the iceberg (a really inappropriate analogy). There are also grave permits, mortuary documents, funeral programs, obituaries, cemetery sales records, monument records, maintenance contracts and all sorts of other records associated with a death and burial. Sometimes the information on the gravemarker is inaccurate and this is sometimes on purpose. People have a tendency to have post-mortem conversions even if they missed the death bed repentance part. What I mean is that obituaries and death notices paint a lot rosier picture of the deceased than they may have actually warranted. I decided that when I passed away, I want my high school graduation picture in my obituary. Then everyone would read it to find out how such a young person passed away. The early records of the Mesa City Cemetery were absolutely saturated with childhood deaths. There were many more infants and children who died than any other category. I also became pretty sensitive to the fact that a very high percentage of the people who died were younger than I am now. Enough of random thoughts. Back to work. I alternate between teaching classes at the Mesa Family History Center and helping patrons. For example, next week (30 April to 4 May, 2012) I have 9 classes scheduled to teach. Mind you, I am not complaining. I very much enjoy teaching classes, but I am sometimes amused when someone begins to describe what they are going through preparing for a class they are going to teach in a month or so. Of course, after spending 37 years or so in court trials, I don't show much emotion, amusement or otherwise. Most of the subjects are very familiar to me and I have no trouble filling 45 minutes to an hour with useful information. Most of the rest of the time, I spend helping whoever walks through the door. The vast majority of the patrons are a joy to work with. A very small percentage would be better off staying home and taking up some other interest. The Mesa FHC is organized into two shifts a day with volunteers. We have anywhere from 20 to 40 volunteers in the Center at any given time. Although it is not unusual to have fewer at off times in the evenings or on Saturdays. There are quite a few posts, or positions where the volunteers can serve, from greeters to manning the copy room cash register. Behind the scenes there are whole staff of volunteers who work on computers, networks, books, cataloging, staffing and orders. The Center has two types of volunteers, those who are semi-permanent and others who are there as Service Missionaries for The Church of Jesus Christ of Latter-day Saints. The missionaries have a specific term to their service, so many of them come and go. But there are a core of volunteers who come and stay for years and years. I have been volunteering in various capacities since about 1984 or so and I am presently on my third consecutive Service Mission. I have been there pretty steadily for about the last six or seven years. I will probably keep working there until I end up in a care center. The Center has a Director and two Assistant Directors. They are like Church Service Missionaries and have a specific term of service of three years. The Directors are all extremely experienced and capable leaders and come from careers involving a multitude of skills. Some of the volunteers at the Center are much younger than our usual average age. Some of the younger adults who cannot serve full-time missions for the Church because of disabilities, serve at the FHC for the term of their mission. They are a wonderful addition to the staff and provide very valuable service. Many have advanced computer skills and become invaluable additions. The entire Center is based around 50 plus computers. Physically, there are two buildings. One is the main library where most of the staff work and serve and the other is a training center with a very large classroom and a computer lab with networked computers. The Center has a full schedule of classes every day it is open with about 30 to 40 different instructors. Classes are held at the main center and at the training center about a block away. Most of the volunteers are members of the Church, but that is not a criteria for serving and there are a few volunteers who are not members. Usually, anyone interested in serving is welcome, but there are some requirements. The Mesa FHC is what is known as a Large Multi-Stake Center, that means it serves an expanded geographic area. There are about 15 large FHCs out of the 4600 world-wide. You might want to check out the bloggers who were notified of the acquisition of Archives.com by Ancestry.com today. Dear Myrtle has a very good summary and a list of all of the participating bloggers. Which company will be next? Today's announcement that Ancestry.com is acquiring Archives.com is not much of a surprise. Considering MyHeritage.com's recent purchase of WorldVitalRecords.com, a response by Ancestry.com was almost inevitable. Ancestry.com could not book having an upstart Israeli company get a major foothold in the quickly compressing genealogical community. My series about who owns the genealogy companies is becoming obsolete and in need of a total rewrite. I have not said a whole lot about Archives.com in the past because I haven't ever been able to find anything of value on the site. I actually have an account and have yet to find even one useful record. Sometimes their search engine fails to find records even when I know the record is there. There is a major contrast between this site and Ancestry.com or FamilySearch.org or other sites with content. It looks like Ancestry.com is buying up content and eliminating potential competitors. 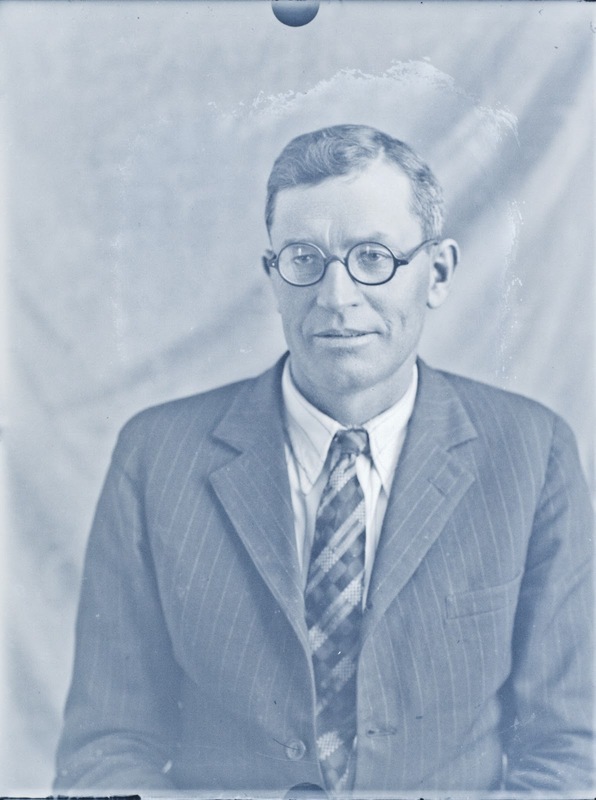 As an example of a search in Archives.com, I looked for my Grandfather, Harold Morgan (b. 1892 - d. 1963). He should appear in any number of records, including every U.S. Census since 1900 which in fact, he does. So I search for him in Archives.com. My first search turns up 12,964 responses but none of the ones at the top are even close to the right person. So I add more information. He lived in a lot of different locations, but primarily in Salt Lake City, Utah. Even with an exact location and exact date of birth, he doesn't show up in a search. I did get some newspaper articles, but the pages come up with nothing showing where the information might be found on the page, so I have to read the entire page looking for an article. The newspaper images are images and even though they come down as PDF files, they are not searchable. I feel like I am playing "Where's Waldo?" I never did find any mention of Harold Morgan on the page! The source of the images is Heritage Archives, Ltd. and is described as NewspapereARCHIVE.com. I could go on and on, but I guess my comment is Good Luck to Ancestry.com. I hope they can do something with the content they have purchased. Your experience may be different with Archives.com, but I have tried again and again to find relevant information without success. FamilySearch Family Tree is available to anyone who wishes to preview the program. There is a Help menu document on FamilySearch.org that explains how to sign into the program. See Gaining Access to the FamilySearch Family Tree (pdf). The good news is that the program is a marked improvement over New.FamilySearch.org.The bad news is that some of the messed up family connections from New FamilySearch are carried over to Family Tree. Presently, there is no way to edit the faulty family relationships and so any meaningful work in cleaning up the database will have to be postponed until further editing features are implemented. Interestingly, the pedigree chart showing the relationships carried over are mostly correct. But the Family Members shown on the individual's page is a conglomeration of all of the worst of the data over from New FamilySearch. So, if you had problems with New FamilySearch, be prepared to see the some of the same issues with the new program, at least at first. For example, they have my Great-great-grandfather, Sidney Tanner, married to his mother, with his grandfather as his father, with his father married to his grandmother and so forth. It boggles the mind to even imagine how people got this absolutely settled pedigree so messed up! Find and merge all the duplicates. Search again for duplicates and do another merge. Add individuals to the families, one by one, checking at each addition for duplicates in the file. Adding sources for each individual. Reviewing the work periodically to make sure there have been no incorrect changes. There may need to be additional steps in the future, but following this order will begin to cut down the number of duplicates and begin to correct all of the errors in the program. It would be helpful if the program has some automatic way of searching for duplicates combined with a merge function. Maybe that is coming? It is too bad that they imported so much of the messed up information from New FamilySearch. It only takes a few minutes of watching the orientation video from Google about their newly released Google Drive to see the obvious similarities with other Cloud storage/file sharing programs such as Dropbox.com. Both programs, and other similar types of programs, work through a desktop folders that automatically synchronizes with a matching folder on the provider's server. So, both Google Drive and Dropbox have a way to put a file folder on your computer and any document or file you drag to that folder will be automatically loaded into a virtual folder online. The virtual folder can be used to synchronize any number similar folders on other devices, such as smartphones, tablets and other computers. For example. I download a photo from my camera to my laptop computer and then copy the photo into my Google Drive or Dropbox folder. I can then go almost instantly to my desktop computer, open the corresponding Dropbox or Google Drive file folder and there is the copy of the photo waiting for me to use. The same photo is also available on my iPad or my iPhone if I am using Dropbox, but at the time of its introduction, Google Drive is still not yet available for Apple's iOS devices. But it is being advertised as available soon. All of the documents in my folder belong to me and are not available or open to the general public. If I choose to share a document (photo, audio file etc.) I invite someone to share the file. Once they accept the file sharing invitation, they have to have Dropbox or Google Drive to transfer the file, but they will also need the corresponding application program running on their computer. As soon as the remote user gets the invitation, they can look at, copy, improve or do anything they like with the shared file. They cannot see or do anything with the files that are not shared specifically with them or shared publicly. On a more mundane level, Google Drive offer 5 GB of free storage with paid-for options up to 1 TB. Dropbox has 2 GB free and paid options up to 100 GB. Microsoft offers 7 GB of free capacity with its SkyDrive and Apple's iCloud offers 5 GB. I have noticed that some of the storage capacities are somewhat of an illusion. For example, Apple's iCloud can be used to synchronize email, calendars and many other functions of your iPhone, but the 5 GB of space is very easily used up. On the other hand, I have seldom used even half of the 2 GB+ of space I have in my Dropbox folder. Not too coincidentally, Microsoft announced changes to its SkyDrive online storage program. This would have been bigger news than it was except for file size limitation of 2 GBs and the fact that the program was previously 25 GB free, now cut down to 7 GB. Both Microsoft and Google are charging less for their paid storage options than Dropbox. Apple's iCloud is also presently more expensive than either Microsoft or Google, but less expensive than Dropbox. How many of these services do you actually need? Dropbox has made a huge difference in the way I work with files. I no longer need to remember to take my flashdrive with me to presentations or for doing research, I can just drop the files into a convenient Dropbox folder and they are automatically on my various computers. I find myself using this to move files from computer to computer inside my home not just at distance. The larger file sizes has also been a boon to moving images and large documents across the world. I no longer have to worry about my recipient's email file size limit. I can just send whatever file I need to without worrying about the size. With more options, it is likely that this type of service will become even more pervasive and will continue to affect the way we use and interact with computers in the future. Since my last post, I got a notice from Google that my Google Drive is up and running. I guess that is what happens to those trying to be early adapters. Competition for the ever widening field of Cloud storage just ratcheted up a notch with the introduction of Google Drive. From the video, you can see that it is likely to be direct competition for services like Evernote and Dropbox. There is no doubt that the service will be used, especially starting out with 5 GB of free storage. At the top end, you can also buy up to a Terabyte of storage for about $600 a year. This seems a little steep given the $150 price tag on a 3 TB hard disk drive, but it does have the convenience of being available to all your devices where ever you have Internet access. I tried to sign up but was given a message that I would be notified when the online storage was available. Things to come in Family Tree? I wasn't quite through with talking about FamilySearch Family Tree, the replacement for New FamilySearch. As a matter of fact, I probably will never get through with talking about the program as long as there is genealogy and as long as there is a FamilySearch and as long as I can stay out of the care centers. Family Tree appears to be much easier for people to understand conceptually than the New FamilySearch program. I have helped two or three people who had little or no experience with genealogy get started with the program and they seem to get the idea of the program readily unlike with New FamilySearch. A lot of people never seemed to understand the point of New FamilySearch. I am hoping that my first impressions are correct and Family Tree does turn out to be more easily understood. One of the main issues with New FamilySearch (NFS) that carries over to Family Tree (FT) is the inaccurate linking of individuals. For example, showing wives and husbands that did not exist such as showing my Grandfather with his second wife as his mother and stuff like that. At this point, Family Tree has not yet implemented a way to resolve these issues, but the documentation indicates that this is a feature they are working on. Depending on how this works out, the program may enable the users to solve most of the existing data problems visible in NFS. It looks like unresolved duplicate individuals have been carried over from NFS to FT. For example, there are at least two instances of my Great-greatgrandfather Sidney Tanner (KWJ6-DZX and LZXK-Y57). The issue here is not just a duplicate individual, but two separate and not equal pedigrees which include these duplicates. So, if I view the tree for each, I see a whole pedigree. In one instance the line shows Sidney's (LZXK-Y57) father as Joshua Tanner, who is actually his Grandfather. The other instance shows his correct father, John Tanner, but how do you choose which pedigree line to follow? The line with Sidney (KWJ6-DZX) has John Tanner (KWJ1-K2F) as the father, which is the line showing in my initial pedigree. But how do I know if either line is correct? Do I have to examine both lines clear out to the end before choosing one? From reading the manual, it appears that the solution for duplicates is a forthcoming merge function. What happens if someone merges two individuals that are not related? What if I go into the program and find my whole line merged with someone unrelated? If the merged individual disappears, then how do I work my way out of that problem? I am not clear on this issue as yet. What about revert wars? Who is watching Family Tree to resolve issues where rogue relatives start merging and changing relationships without any documentation to suit their own view of the world? What if I reverse the changes and then they change it back etc. (revert war)? Are there moderators or arbitrators who will decided when to shut down or lock an individual? Can individuals be locked? On a note having to do with Temple Ordinances, I see green arrows already for people who are long time members and did their own Temple work. Are we starting another round of duplication? Some of the lines show a list of children as "living" in addition to a list of deceased children. The living children are duplicates of the deceased children, but of course are not further identified. How do I merge an unidentified "living" person with a know deceased person? Some of these questions will likely be answered soon enough as the program progresses but there are issues and problems that will have to be resolved. I think it is a good start in a good direction and am looking forward to how these issues might be solved, or not. FamilySearch Family Tree was introduced at RootsTech 2012 by Ron Tanner, the project manager. Family Tree is the replacement for the program called New.FamilySearch.org. Although it is characterized as an upgrade to New FamilySearch, it is not just an upgrade but a complete re-write of the program. New.FamilySearch.org essentially goes away. For my part, I will not mourn its passing, to the contrary, I may well celebrate the day. OK, that was the genealogist talking. In all fairness, the New FamilySearch program has been a great boon to the extremely new-to-genealogy people. It has also been a great motivator, in a negative sort-of way, because of all the errors, many people are much more focused on getting things right and documenting sources. But from my perspective, New FamilySearch has done just about as much in a negative way as it has positive. It is about time to move on. If you want some specific information about Family Tree and how to gain access to the program. You can click on the Help menu for FamilySearch.org. You will find several links to documents about the program. Membership in The Church of Jesus Christ of Latter-day Saints is not required to use the program. Family Tree does introduce a new level of jargon. This does not make the program in anyway difficult to use, but in discussing the program there are several key words and phrases that are used to describe the program's features and functions that are particular to the environment in which the program operates. I have been using Family Tree now for about two months and it is a vast improvement over New FamilySearch. Even though all of the features have yet to be implemented as described in the Users Manual, it solves some of the most vexatious problems of New Family Search. Now on to the jargon. (In case you don't know jargon is defined as special words or expressions that are used by a particular profession or group and are difficult for others to understand). Some of these terms have been taken from a paper written by Ron Tanner. "Opinions vs. conclusions" Both of these terms as used in a specific way in conjunction with Family Tree. Conclusions are defined as "a declaration of the most accurate value at this time." The term "opinion" is not specifically defined but the inference from putting the term opposite "conclusions" is that there is some effort involved in forming a conclusion based on an analysis of multiple sources, as opposed to an opinion derived from a superficial examination of limited, compiled or derived sources. The attempt here is apparently to provide a way to provide for the application of the Genealogical Proof Standards to Family Tree entries while at the same time exposing entries based on rank hearsay or insufficient proof. Family Tree has qualifiers attached to almost every entry. What I mean by this is that with almost every entry, the program provides a place to enter a justification or reason for the entry or for the edited change. The basis of this is a dichotomy between "sourced values vs. attached sources." Attached sources are presumed to be those now in New FamilySearch, where there individuals have a list of attached "sources" that are in no way attached to any particular fact or event other than in a very general way. Family Tree will provide "sourced values" which can be used for more than one individual and are tagged to a specific fact or event. It is not yet clear how far this particular path will go, for example, whether or not the tagged sources will be openly indicated in the context of each event or fact. One New FamilySearch concept, that of combining individuals, is entirely missing from Family Tree and gratefully so. Seeing all of the separate submissions from hundreds of relatives concerning an individual and the sometimes ridiculous facts entered into the program, made you doubt the utility of trying to arrive at a correct interpretation. Family Tree is going to rectify this issue entirely by eliminating the exhaustive lists of combined individuals and allow duplicates to be merged. With merger, the merged individual will essentially disappear. Whether or not Family Search wants to keep all of that conflicting information in some uber-file, is entirely their business, just as long as we don't have to deal with it anymore. Family Tree also introduces or relies on existing acronyms such as "AF" and "PRF." Translated to "Ancestral File" and "Pedigree Resource File." These are among the source for the original data seeded into New FamilySearch. It is enough to say that there will be a mighty pruning of the tree in Family Tree, meaning there will be a huge effort to eliminate most, not all, of the duplicates in the data as it is moved over to Family Tree. By allowing for a true merger of duplicate individuals, the number of duplicates may decrease rather than increase as they have done over the years in New FamilySearch. New FamilySearch was not a failure. In fact, it may have been a necessary step in the maturation process of moving a vast number of individual submissions into a manageable format. Could New FamilySearch have been avoided? I think without the interim step of New FamilySearch, the Family Tree program would not have been nearly as robust and promising. Register today to take advantage of early bird savings for our upcoming Colorado Family History Expo in Colorado Springs, CO on June 1-2, 2012. The Expo will have an array of vendors with the latest tools and techniques to help in verifying your ancestors. They will also have an agenda filled with speakers to help you move your research along. If you have not already registered, please click here to register for the Colorado Expo. Early Bird registration ends May 2, 2012. If you have registered, please tell a friend and have them register too. 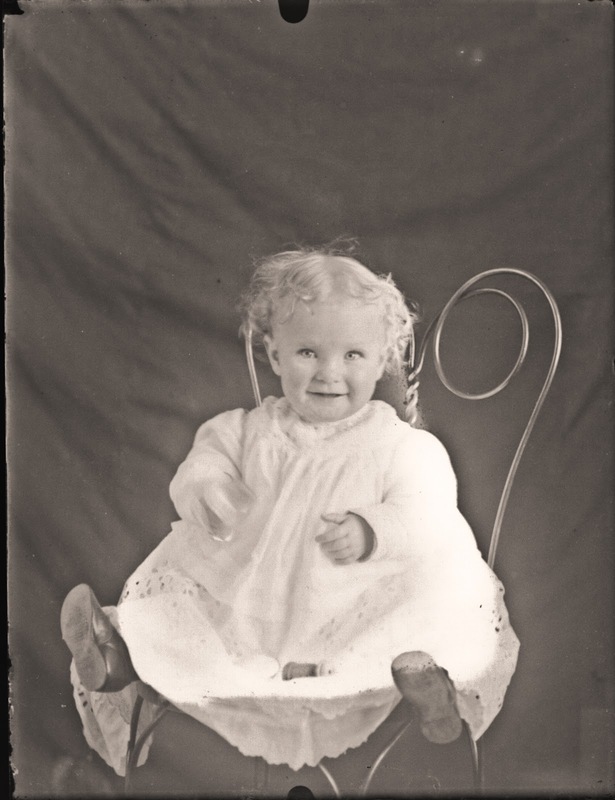 What I know about these images is that they were scanned from glass negatives taken by Margaret Godfrey Jarvis Overson in Apache County, Arizona in the early 1900s, likely around 1920. Anyone recognize any of these people? One of the games you have to play in the technology world is knowing when to buy a product. Invariably if you buy an iPhone, Apple will announce a new model soon thereafter. The same thing happens with everything else electronic. But there is no real percentage is waiting for the next new thing, because the next new thing will always be there. As I watch the electronic parade, new "updated" products are announced almost daily. There is no "annual cycle" like year model cars or new TV seasons. Hmm. By the way, cars are being introduced all the time now also. Recently, there has been one of those huge jumps in technology that can make you feel out-of-date no matter how astutely you consider your purchases. This is in the area of the resolution of photo sensors for cameras usually measured in pixels, as in Megapixels. if you would like an expanded explanation of digital cameras, please avail yourself of my other main blog posts on FamilySearch's TechTips. I have several articles there explaining most of the basics about sensors and cameras. I will also have a more in depth article about the new cameras shortly. First of all, the real question about your existing technology, especially with cameras, is whether or not it is serving your present needs? Keep that thought in mind while I talk about the new cameras and the new sensors. The first shot in the present battle for sensor supremacy was fired by a cellphone manufacturer, Nokia. It model 808 smartphone came out on February 27, 2012 with a 41 Megapixel sensor. Yes, you read that right -- 41 Megapixels. In the electronics world, no advance (if you call it that) takes place in a vacuum. The backroom technology is always under development and something a significant to marketing as a catchy number of Megapixels will not go unchallenged for long. To give you a sense of perspective, the high-end Canon Professional Camera, the EOS 1D X, costs almost $7,000 for just the camera body, no lenses, and has a 18.1 full-frame sensor (35mm equivalent). Camera sensors for all types from cellphones to professional digital cameras, have been running from about 10 Megapixels for the average point-and-shoot, to just over 21 Megapixels for professional digital SLR cameras. Kodak introduced a 50 Megapixel sensor in 2008, but it was only used in high-end industrial cameras and one consumer camera, the Hasselblad H4D-200MS for $44,000. An aside. The quality of a photograph is not determined so much by the resolution of the sensor but more by the quality of the lenses and other factors. One important factor is not the number of pixels but the overall size of the sensor. Also remember that individual Canon and Nikon lenses can cost thousands of dollars and they aren't electronic, they are mostly glass and metal. Just in case you were wondering, Nokia has no present plans to sell the 808 in the United States. The next salvo in this round of warfare, came this week. Sharp announced a new 20 Megapixel sensor for point-and-shoot cameras. This is a huge step. Twice the resolution of the older sensors for the same level of camera. About the same time, Nikon got into the battle with two new cameras, the DX-800 with a 36.3 Megapixel full-frame sensor and even more recently, an mid-range DSLR, the D3200 with a 24.2 Megapixel sensor. Clearly, the incremental battle where sensors have been creeping up in quality has gone by the wayside. With Nikon's jump from a maximum of 18 Megapixels to over 36, there is clearly a new battle front. Nikon's DX-800 is not the same as a Hasselblad, obviously, but it is similar to the problem Ferrari might have if Fords started topping 200 mph with a similar design. What to do? Nothing. Keep using whatever camera you already have until you are ready to upgrade and then be glad you can buy something with higher resolution for about what you paid for your old camera or less. If you are thinking about a new camera, then wait for a little while for prices and availability to come down. Don't buy a camera based solely on its Megapixel capability. Kellogg, Lucy Mary, Edna W. Townsend, and Robert S. Wakefield. Mayflower Families Through Five Generations: Descendants of the Pilgrims Who Landed at Plymouth, Mass., December 1620. Plymouth, MA: General Society of Mayflower Descendants, 1975. So, this could have been handled in a variety of ways, I could have suggested they look online in the Mesa Family History Center Catalog, but I just happened to know the books were there. Why? When I was a student and graduate student at the University of Utah, I worked in the library. Over time I learned a lesson, you can't tell what is in a library unless you go look at the books. Catalogs are nice and you just might find a useful book, but there is nothing like walking down the aisles between the shelves and "reading the stacks," that is looking at every book in the library on a given subject. They say you can't judge a book by its cover. This is very true. You need to pick it up and examine it. To make sure, when I go to a library, I systematically look at every single book, one after another and check to see if it is of interest. In this case, catalogs are useful only to get me into the general area of the books I am looking for. For example, I may have mentioned this before, but I have gone through every single book in the Family History Library in the Rhode Island section, more than once. This is not confined to genealogy books, I do this will all libraries with all books of interest. I have probably looked at most of the books in the Mesa Public Library individually. OK, so now you are thinking I am really strange. Yes, I am. If strange means that I am thoroughly systematic about doing research about any given topic. There is only one way to be sure that you haven't misses something and that is to look. Is this tedious? Oh, in a way, but it also leads to some very interesting results. If I find an area of interest (like Apache Indians, for example) I will read or at least look at every book in the library on that subject. I know of no other way to make sure you get a balanced view of the information available on a given subject. With genealogy, unfortunately, I can review all of the books in the Mesa Public Library in about five minutes. This is generally the case with the Phoenix Public Library and the Maricopa County Library also. But, they have other resources that are helpful and I would never know the resources were there without walking the stacks. This idea is more expansive than just staring at the books, it includes becoming familiar with the other library resources, some of which are not easily discoverable. I realize that some libraries have closed stacks. I understand closed stacks, but to me, it is like being half blind. I can only guess what other treasures there might be in the library hidden behind the catalog and lurking in the closed stacks. The states in dark are mostly indexed, the other states may have some indexing but not yet over 50%. The states already indexed probably tell a lot about where the indexers live. FamilySearch has an Indexing contest ongoing with winners each week. Where is the Indexing Project exactly? It looks like only Colorado and Delaware are completed as of 20 April 2012, but several states are close to completion. So far, 14.2% of the entire project has been completely indexed. We have 75,820 indexers and arbitrators working to index and arbitrate the census records. Colorado and Kansas have been completely indexed and are being processed in preparation for posting on FamilySearch.org. Delaware is posted online at FamilySearch.org. Nine states (Alaska, Idaho, Indiana, Nevada, New Hampshire, Oregon, Utah, Virginia and Wyoming) are 80% or more indexed and will soon be complete. To see the status of each state, visit FamilySearch.org/1940census. A total of 19,242,589 records have been indexed and arbitrated by volunteers. Thanks to FamilySearch and Steve for the update. The total number of collections has arisen to 1126 with recent additions in the Netherlands, Washington, Italy, Saskatchewan, Texas, Wales and Austria. There is an update of the 1850 U.S. Census and similar collections going online every day of the work week with 57 collections either added or updated since the beginning of April, 2012. The increase is nearly 3 collections every day. If you haven't checked out the new records for a day of so, you are probably unaware of the huge number of daily updates. It is difficult to tell anything about additions to the collection of digitized books, but a search on one of my family surnames that I have done from time to time showed a dramatic increase in book numbers. I am still waiting on the book I had scanned a couple of years ago. I suggest checking this periodically for new additions. Find the new books by looking in the Family History Library Catalog. Just today, the Research Wiki went over 67,000 articles. There are several active projects going on all the time including the Utah Project and several others. The Projects are designed to help both with content and with the layout of the Wiki. The Wiki relies almost entirely on volunteer efforts. By the way, there are hundreds of free videos, not all from FamilySearch, about genealogy on YouTube. Try searching under genealogy or other related topics. You might be most interested in the document on gaining access to the FamilySearch Family Tree. This program is open to both those who are and those who are not members of The Church of Jesus Christ of Latter-day Saints. If you or your family members have not submitted genealogical information previously to any of the FamilySearch programs, you may have a blank document when you start. Even if you haven't submitted anyone to the file, it is always a good idea to search for existing people before adding anyone. As you will see from an examination of the release notes, there is a lot of development going on with this program. As an editorial comment, this is 1000% better than New FamilySearch ever looked. As you can see FamilySearch has been very busy. Keep up the good work. Thanks to all who are involved in working on FamilySearch. Google News Archives are Back? Google had a major project to digitize newspapers. The collection, available under the Google News link, was growing quite large and looked to be useful to genealogists. But due to a variety of problems, primarily as reported, with existing newspaper syndicates, Google had discontinued the archive portion of the newspapers. It simply vanished last year. But now, it is reported that the Google News Archive is back. I have gone onto Google News and with some effort was able to find the archive. The trick is a tiny black downward pointing triangle in the Google News page search box. Clicking on that little triangle brings up an advanced search which if followed will eventually lead you to the archives by selecting the "Date added to Google News" drop-down menu and selecting "in archive." Yes, it is substantially hidden, but there none the less. Once you do a search on anything, the menu items change in the left-hand column of the screen and you can choose to do a search in a specific location or time period or both. News Archive Search provides an easy way to search and explore historical archives. Users can search for events, people or ideas and see how they have been described over time. Search results include content from a number of sources, including both partner content digitized by Google through our News Archives Partner Program and online archival materials that we've crawled. Search results can include content that is freely accessible as well as content that requires a fee. You can either browse through the full collection of papers scanned or use Advanced News Search to specify the date range in which you'd like to search the archives. Using the News Archive Viewer, you can browse through our scanned collection like you would a physical paper, but with a searcheable collection you can find countless articles on topics you care about. Visit our Frequently Asked Questions for more information. Please note that we're currently not accepting new content to be included in Google News Archive Search. However, if you're a publisher of a current news site we encourage you to submit your site to Google News for inclusion. Are they really there or not? It is sort of hard to tell. But this is one more place to search for newspaper content, some of which is free. We are looking forward to the upcoming Colorado Family History Expo in Colorado Springs, Colorado on June 1-2, 2012. Family History Expos will have an array of vendors with the latest tools and techniques to help in verifying your ancestors. They will also have an agenda filled with speakers to help you move your research along. If you have not already registered, please click here to register for the Colorado Expo. If you have registered, please tell a friend and have them register too. The Keynote speaker will be Don R. Anderson, Senior Vice President for FamilySearch. In this role, he has the responsibility for the Patron Services organization including the FamilySearch Family History Library as well as the Worldwide Support organization. Don’s responsibilities include providing help to those searching for ancestors using FamilySearch, the Family History Library, Family History Centers, the FamilySearch website, CD software, and other resources. These are accessed worldwide via telephone, e-mail, and the Internet. Don’s organization provides services in more than 12 languages from more than 110 countries worldwide with an excess of 10 million interactions annually. In his role for FamilySearch, Don has traveled to more than 27 countries on five continents to ensure that services are available to those around the world searching for their ancestors. The resources of FamilySearch Patron Services are in more than eighty countries and include nearly two thousand individuals, both volunteers and employees. Look for us in Colorado Springs! Although unlike Evita Peron, in the words sung from the Broadway Show, (Don't Cry For Me Argentina lyrics by Tim Rice, music by Andrew Lloyd Webber}I have neither fortune nor fame and pursuing a course of genealogical involvement I am unlikely to achieve either. So, if there is no earthly reward for my efforts to bring order to the chaotic genealogical universe, why am I so motivated? The simple explanation is religious. But unfortunately, in my case, that may have been the beginning of the story, but not the second and third chapters and on through a very lengthy process of drama and discovery. If the motivation were solely religious, then why me and not 14 million other people? I think part of the answer comes from early decisions I made to emphasize my own family, meaning my wife and children, over any other interest. But that also was only part of the answer. Genealogy has a combination of relevance and intellectual challenge. Having a legal background gives me certain analytic skills, but again, I know very, very few attorneys who gravitate towards a total involvement in genealogy at the expense of their interests in travel, work, sports and other interests. Then again, I do love a good mystery and genealogy is certainly very akin to detective work. In my case, I think the basic motivation comes from a compulsion to finish things undone. Genealogy is the classic open ended pursuit. You can never come to the end or a conclusion. There is always one more problem, one more source or one more solution to prove. But why complicate matters by writing a blog that is only loosely about genealogy? Unlike some, I did not do well early on as a writer. I think the main reason was physical and mechanical. It was a terrible tedious chore for me to write by hand. The ideas were there, but the process of putting them down on paper was too painful. Along come computers. Finally, at their present level, you can write without hardly a thought about the mechanical process. Despite my lack of physical coordination, I seem to take to keyboarding without any problems. This is especially true when I have automatic spelling and grammar checkers. My main difficulty is leaving out words. So now we have a combination of interest, fascination, involvement, and a correspondence with technology that make for an almost irresistible combination: genealogy and endless pursuit that unlike jigsaw puzzles and crossword puzzles, there is underlying meaning and substance and no finality. If I had a choice, I would be out in the mountains and deserts taking pictures, but genealogy gives me no choices. I cannot abandon now what I have begun. I will keep at it until senility or disease stop me in my tracks. I had the opportunity (if you call it that) to spend some time in a hospital. It seems my fate over the years to spend time in hospitals, mostly for others but sometimes for myself. This post hasn't got anything much to do with hospitals, it does have a lot to do with computers. It is just that hospitals are loaded with computers. Everywhere. In the halls, in the rooms, on the patients, hanging from the ceilings. This was a brand new hospital and had eye-in-the-sky (like Big Brother) kind of technology. If the patient's vital signs changed there was a big beep and a monitor came on and asked permission to view the room. Then a nurse came on the monitor and discussed the vital signs of the patient. So much for the old call button or yelling down the hall for a nurse. In everything from our phones to our cars to our watches, computers are so pervasive, we usually do not even think about them (unless they break like the one we are working with right now at my house). So news about updated computer chips is NEWS. None of this who is shooting whom or whatever. This is the real news of the day. Ivy Bridge is the first in a series of upcoming Intel mainstream chips that emphasize graphics and multimedia processing over more traditional compute tasks. And most importantly for consumers, Ivy Bridge chips will power the wave of Windows 8 ultrabooks that will break later in the year. Those systems are expected to have touch screens and include hybrid designs that straddle the laptop and tablet markets. Ultrabooks, for the uninitiated, are what the media calls computers that copy the Apple MacBook Air. If you can imagine, every new laptop released with the new chips will get thinner and lighter. There are supposed to be over 100 different models of new laptops waiting to be introduced from different manufacturers. Does this really affect the stodgy old world of genealogy? (Hmm. did I really say that? Does that mean I am stodgy too? Maybe that's why no one will talk to me anymore?) Hey, wait a minute! I am anything but stodgy and most of genealogy today isn't either. Yes, it will affect genealogy. Basically, it means that all of us are once again one whole computer chip behind in our technology. Those of you still clinging to Intel 8086 chip sets have moved from the Jurassic to the Triassic. So what else is going on in the world of high tech? Plenty. Intel is also releasing the first Intel chip powered smartphone this week. You probably didn't realize that the smartphone world was built on specialized computer chips that were different than those in most laptop and desktop computers. As long as we are talking about Intel, they also announced a 60GB solid state drive (flash drive) for a retail price of $89. This may not seem like big news but overall, solid state drives (or SSDs) are well on their way to replace hard disk drives as the main storage media. Once the storage capacity of the drives and the price comes fairly close to a hard drive, there will be a point at which they will suddenly become the only drives available and hard drives will disappear. This may happen this year or next. Oh, well. It only takes money and time to keep up to date with technology. Oh, and I forgot, a lot of new learning. 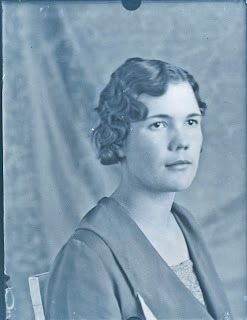 Aunt Gracie Shoaf also had a burglar phobia, but she met it with more fortitude. She was confident that burglars had been getting into her house every night for forty years. The fact that she never missed anything was to her no proof to the contrary. She always claimed that she scared them off before they could take anything, by throwing shoes down the hallway. When she went to bed she piled, where she could get at them handily, all the shoes there were about her house. Five minutes after she had turned off the light, she would sit up in bed and say "Hark!" Her husband, who had learned to ignore the whole situation as long ago as 1903, would either be sound asleep or pretend to be sound asleep. In either case he would not respond to her tugging and pulling, so that presently she would arise, tiptoe to the door, open it slightly and heave a shoe down the hall in one direction and its mate down the hall in the other direction. Some nights she threw them all, some nights only a couple of pairs. It is a gift to be able to write about your family in an entertaining way. All of us have stories like this that have been passed down through our family and probably embellished in the process. Think of the tragedy if those stories were to be lost! Ideally, these stories, funny or sad, humorous or tragic, should be recorded from the original source. However, many classic stories have been passed down from family members who are long since passed on to a better world. Some of the funniest stories fall flat when not told by the original relator, the tone of voice and accompanying gestures make up a lot of the ambiance of the story, just as the one related by James Thurber. Stories can be part of a larger oral history, but sometimes if we concern ourselves with making a complete record, we lose the moment and the story is lost along with the oral history that never happens. Even if the originator of the story is no longer available, it is still a good idea to write down as many and as much of the stories as you can remember. It really doesn't matter is they story doesn't sound as funny as it did when told by the relative, but it is important to have these evanescent stories so that at least a part of the tradition can be preserved. Sometimes we get so wrapped up in technology, we forget that the simplest way to record a story is to write it down. Digital recordings and such are wonderful and may help to put the whole story in context, but if there is only the memory and you are the one with the memory, you should write down what you have and not fuss about being technologically correct. Sometimes we hesitate to write about subjects that are presently "socially unacceptable" or politically incorrect. But this is an entirely inappropriate feeling. History should be judged in its own context not in the light of the mores of subsequent times. My own family is a good example. Several of my Great-grandfathers and Great-great-grandfathers were polygamists. One was even sent to Federal prison as a result of a conviction for unlawful cohabitation. Some people are so disturbed by the different cultural and religious convictions of their ancestors that they cannot even talk about the situation. To me, polygamy was a historical fact. I cannot change history. Whether or not you agree with the basis for the practice, it did occur and ignoring these historical verities is bad history and worse genealogy. Just because your ancestors were criminals or slaves or whatever, is no reason to ignore their stories. I accept my ancestors' conditions, traditions or beliefs, no matter what they were. I only hope they would do the same for my own. I can also hope that as genealogists we all do the same. Accept our ancestors as they were, sick, crazy, criminal or geniuses no matter what. There it is, the U.S. Census, all decked out in its best go-to-meeting suit and ready for the obligatory Easter Sunday family photo. Look at Uncle Sam, sort of uncomfortable with the whole process and looking way out of place in the genealogical world. Of course we can find Ma and Pa and all the kids, and in the background, all the aunts and cousins. There's Cousin Fred in his military uniform getting ready to go off to war. If we look carefully we can find almost every family member somewhere in the picture with the top of their head poking out of the group photo. It is a lovely shot on a beautiful Spring day, everyone is in detailed black and white focus. 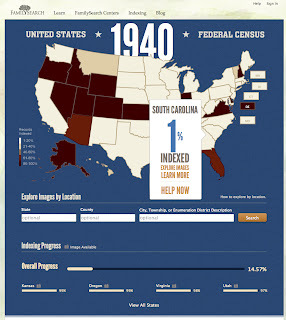 What's wrong with this 1940 U.S. Census picture? Nothing, absolutely nothing. It is so perfect that we cannot believe our eyes. But wait, what is that down in the corner of the picture? Is it a little detractor? Don't worry, we can Photoshop it out with our 21st Century tools. In helping people "do their genealogy" the U.S. Census collection is a huge success story. Right there, in gorgeous black and white, you find complete families dating clear back to 1850 and family groups dating all the way back to 1790. So what's wrong with this picture? Why isn't the Census both the beginning and the end of genealogy? To some people it certainly is the end as well as the beginning. Take the example of the patron I helped last week. We were able to track back six generations of his family using the Census records almost exclusively. Thank you very much, that is all I wanted to know. See you again never and out the door. 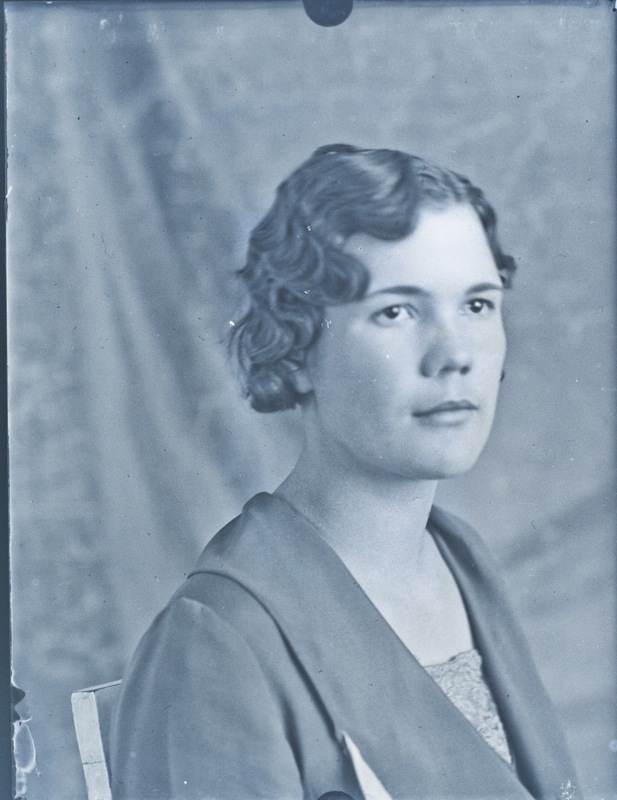 Often, not always, but more often than is comfortable, budding genealogists are given the impression that census records are genealogy. If you can't find your family in the census, they didn't exist so there is no reason to look further. 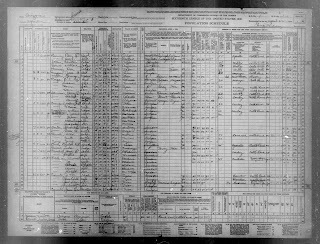 How many of us (and I include myself) look at census records as the mere beginning of our genealogical journey. That stack of ten year snapshots is nothing more than that, a snapshot of a family at one point in time. It is always useful to have a snapshot, but what about the rest of the story. The clues are there in the censuses, the immigration dates, the occupations, the schooling, the number of total children born, the state or country or origin of the parents, all sorts of useful information if it is used to find other records. That is sticking point, if it is used to find other records. Do you get the idea? The census, no matter what the year, is just the bare beginning of genealogical research, not the end. The first rule in Genealogical Geekdom is to always wear your flash drive around your neck on a lanyard. The market for plastic pocket protectors has crashed and I haven't seen any for sale for quite some time, so absent wearing a T-shirt from your last family reunion, there isn't much more that you can do to advertise your position in the genealogical community. Of course, Genealogical Geeks (GGs) always carry a laptop even when they are camping or otherwise out of range of any possible network signal. You never know when you might need to look at your data file. In the event that the GG cannot carry his or her laptop, a smartphone is a must and the smartphone must have every available genealogy app listed by Apple or Google. Some people think that GGs spend their entire life on the Internet. Despite this impression, they actually do eat and sleep every so often and have other interests like helping other people with their genealogy. Every GG I know (one or two), has at least six different genealogical database programs loaded on his or her computer. When asked why they have so many different programs, they reply that each program is like a different tool in their arsenal and they need all of to be able to do their genealogy at the high level required by being a GG. The real GG has at least one of each possible type of electronic device with a genealogy file on every one of the devices and has to carry at least two such devices around at all times. Of course, the GG has to subscribe to over 200 genealogical blog feeds and has no time to read any of them because of the time commitment to writing four different blogs. The GG also has an "in" with various software companies and is on a first name basis with Bruce Buzbee and Geoff Rasmussen. The GG drops the name of various officers and employees of large online genealogical databases on a regular basis and knows how many collections are on Ancestry.com without looking. GGs live entirely outside of the world of genealogy societies and professional organizations, in fact most of the societies and professional organizations would not consider a GG as a member. GGs get tired of people saying things like, "I wish I could download everything in your brain into mine" primarily because they know that if that actually happened the person's brain would explode. Being a GG is no great honor, but those who are don't really have a choice. It has been a while since I reviewed the must have list of software I think is either necessary or helpful for a genealogist. Here is the list with the categories of software explained. Please bear in mind that these suggestions are my own personal opinion. I do not have any affiliations with any software companies and my suggestions do not constitute an endorsement of any product or service. I have not received anything (believe me) for giving these opinions and I may change my mind about services or products at anytime. I do not purport to be an expert in any or all of the programs or services listed in this blog post and in reading this post you are proceeding at your own risk. In undertaking this software review you must understand that I am hopelessly opinionated and a dedicated Macintosh user. Anything I might say should be understood in that context and that context alone. I do not use all of the programs I suggest exhaustively, some of them I only use once or twice a day, others are used constantly. If your opinion differs from my own, you are certainly welcome to express your opinion in the comments section of this post. You must also understand that my experience with any one or more of these software programs is hopelessly limited to my own experience and I cannot tell whether you or anyone else would have a similar experience. If for any reason you try one or more of these products and find them to be different than I have represented you can chalk that up to incipient senility and ignore any of my comments. Giving advice about software is liking trying to tell someone who to marry, it is a singularly personal subject and due to the huge selection of possible software choices entirely arbitrary. Any opinions expressed in this review are totally my own since I have been unable to get anyone around me or any of the relatives I am still speaking to, to give me their opinions which were mostly unprintable in any event. If you dare to try any of these programs after I have expressed my opinion, by doing so, you entirely release me, my posterity for six generations and anyone I have ever met in my lifetime from any possible liability associated with following my advice from the creation of the world until the last copyright expires or the end of the world, which ever comes first. THIS DISCLAIMER IS PRINTED IN CAPITAL LETTERS BECAUSE I ACCIDENTALLY HIT THE CAPS LOCK KEY AND DIDN'T NOTICE IT UNTIL I GOT ALL THE WAY THROUGH THIS PARAGRAPH BUT THEN THE PARAGRAPH LOOKED SO GREAT IN ALL CAPS THAT I LEFT IT THAT WAY ON PURPOSE. If you or anyone you know, especially any of your near relatives that work for major computer companies or are Internet wizards tell you anything about the programs I review, you should absolutely follow their advice to the letter, because obviously working for a major computer company or being an Internet guru qualifies them completely and compared to my paltry experience they are much more reliable than I am. I am getting sort-of near sighted so the part of this disclaimer that was supposed to be in 6 point type is just going to have to be at the regular normal size because I couldn't tell what I was writing at 6 points. Further, if you are really interested in any of the products reviewed, I strongly suggest that you try them out extensively before spending the exorbitant purchase prices asked for by the software developers. Some of these programs cost as much as $20 retail and they will not give you refunds or allow you to return the software after you have opened it, so I suggest trying to find a free version or demo version of any of the programs since I know it gives genealogists the hives to actually pay for software. Any and all versions of the software reviewed in this post may also be out-of-date as of the day this post is published due to unannounced updates of the software. I personally disclaim any possible responsibility for reviewing an out-of-date program due to the fact that I am too cheap to buy the upgrade. I'm sorry I ran out of time to write the reviews. Stay tuned for the next installment of the disclaimer. Is searching different than researching? Did I say a new reality? or Unreality? Where are all the images?